Every day of Dylan's life is the same as the last. He longs for adventure, for something different. So when he's rescued by Callix— a charming, dark-haired stranger— he finds himself inexplicably drawn to him, leaving Dylan torn between loyalty to his grandfather and the tantalizing world that Cal belongs to. When Cal, second eldest of the Evenfall brothers, goes to investigate the mysterious death of a wolf shifter in his territory, the last thing he expects to find is his mate. Dylan is nothing like what Cal expected— shy, naive, and hopelessly human. 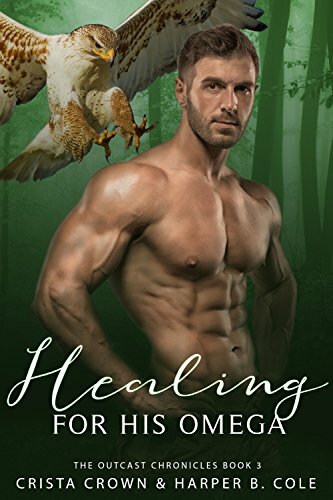 While Cal comes to grips with the reality of having a human male for a mate, his brother Thane is contending with his mate Fionn and the birth of their first child. 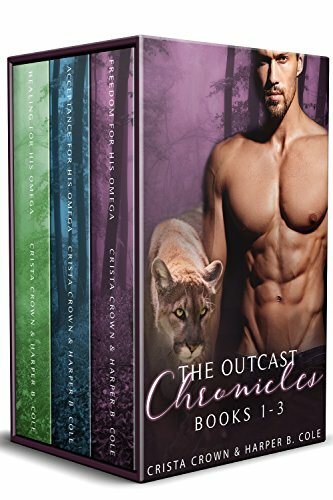 But when a local Coven is implicated, Cal finds himself under pressure to discover who is behind the shifter's death before conflict breaks out between Coven and Pack. The more he investigates, the stronger his sense that things aren't what they appear to be, his blue-eyed mate included. He and Dylan are drawn closer with every meeting, every touch, and every kiss. Will Dylan be able to accept who and what Cal is? And is Dylan all that he seems or something much more? Bound by Fate is a 40,000-word paranormal romance with a happy ending and no major cliffhangers. It contains some language and scenes not suitable for readers under the age of eighteen. It also contains mpreg. 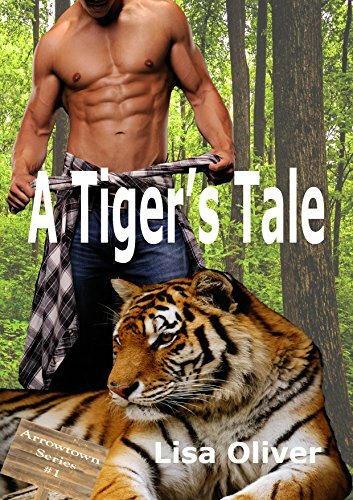 A Tiger's TaleArrowtown Series #1(M/M, Shifters, true mate, MPREG, HEA)Seth Carmichael never did anything wrong, but instead of working at the local library, he was running for his life. His herd was hunting him and with few resources, Seth's optionsesources, Seth's options were fading fast. Until, that is, he heard the rumble of a motorcycle. Peeking through the tree he was hiding in, he couldn't believe his eyes. Had salvation come in the form of a badass biker? Zade lives alone in the wilderness, protecting an endangered leopard species. 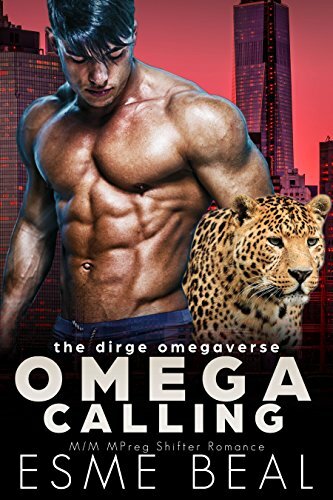 A solitary existence is all the omega wants - until the leader of his pride visits to see what he's been up to.When Evander arrives, Zade finds himself forgetting all aboutng all about field biology. He's more concerned with the alpha shifter's brilliance and curiosity - not to mention his broad chest and powerful muscles. As Zade's desire for Evander mounts, he realizes this is more than normal lust. And with only the two of them for miles around, Evander is going to figure out what's happening. Will Evander help Zade through his heat? And if they do succumb to their animal instincts, what will they do when the pheromones wear off? "Tiger's my friend, but no one else can sate my heat like he can. "Sybil is in trouble, his heat has arrived once again and it's worse than last time. It doesn't help that he's a rabbit shifter with aromatic pheromones that can draw every alpha to himes that can draw every alpha to him in an eight mile radius. to hold on to his sanity? Or will he sacrifice a friendship so special to him? Tiger doesn't let him hide for long either. What will this husky alpha male do when he sees his object of affections writhing in the pain of his heat? 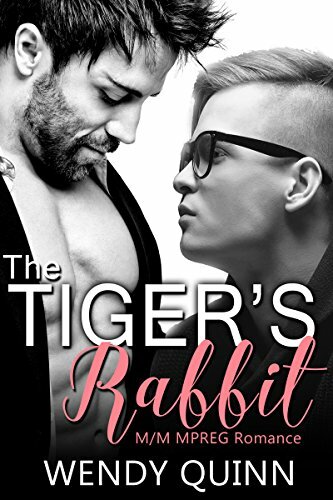 The Tiger's Rabbit is downright delicious and hawt. Yes readers, hawt. SO if you want a story with an HEA and babies with lots of tension, pick this hotty up right now. No, there is no cheating. Wendy won't do that to her readers! Lawd have mercy, enjoy the ride! Ridley ScottI'm a genuinely happy person, regardless of the fact that both of my parents are dead, I'm a college dropout, I work at a diner as a cook in Purdy, Nebraska and I'm a tall, lanky virgin gay man with more freckles than not, bright red hairght red hair, and a creepy obsession with a gorgeous god of a man who always catches me stealing glances of him and doing awkward things. Such as, nearly killing myself with a mop bucket or frying pan. When my car breaks down not far from said gorgeous, god's house, I learn that Flynn is my best friend's alpha and there is more to my obsession than my ridiculous habit of accidental suicide attempts. We're connected. I've been watching my mate for months and waiting for the perfect time to finally claim him. When he comes sputtering to a stop not far from the leap house where I'm the alpha of a large leap of leopards, I'm both excited to finally have him close and worried about how to explain our world. When I find out he already knows about shifters and his best friend is a member of my leap, I feel like this mating just got easier. But fighting both, members of my own kind, and my precious mate's insecurities, might be too much for even a chosen bond. 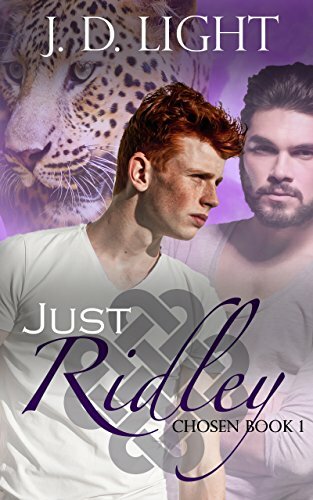 I have to find a way to protect my mate from a crazed she-leopard and prove to him that he could never be, JUST Ridley. Suni has practically everything he could want in life: money, freedom, and hot sexual flings. But the one thing he can't seem to get is an alpha who can handle his wayward spirit. That seems to be something so rare he'd have to wish for it...Suni knor />Suni knows of a genie lamp that has yet to be claimed, and he's going to find it. But a vulnerable panther omega like himself would draw a lot of attention--and not the kind he usually likes. He'll need a bodyguard first, someone who is proven, discreet, and preferably hot to keep him company for the following months of travel. 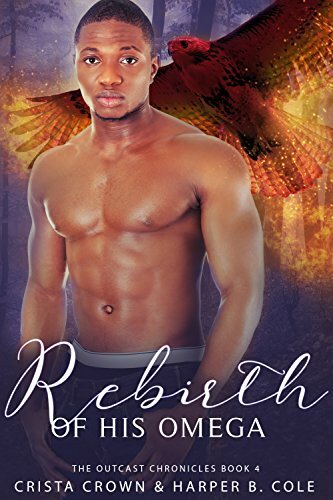 Nightwish delivers primal action-packed romance set in an exotic world inhabited by shifters. This is a complete standalone story with mpreg and a HEA ending! Cayce Isn’t ready to have a baby. Jax doesn’t want to risk his heart again. 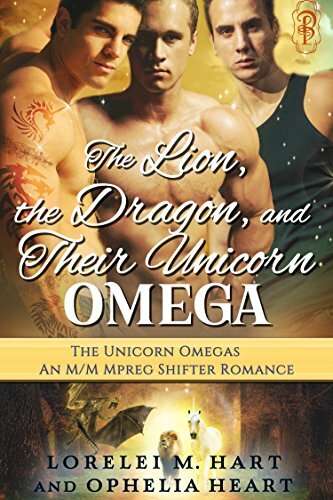 Fate has other ideas for them both.The last thing omega Cayce wants is a baby--even though it seems like every time he turns around, his family is dropping hints that it's ti hints that it's time for him to mate. His alpha-father even has him working on the baby books in his family's print shop, as if that might convince him to change his mind. Cayce already gaven up his dream to pursue art to appease his alpha father; he wasn’t about to give up his autonomy as well. Alpha restaurant owner Jax lost his mate and cub in childbirth several years ago. His heart’s still broken, and the last thing he’s ready to do is to start again. He had his chance at happiness and fate stole it from him. His life might not be complete, but throwing himself into his work is far less dangerous for his shattered heart. 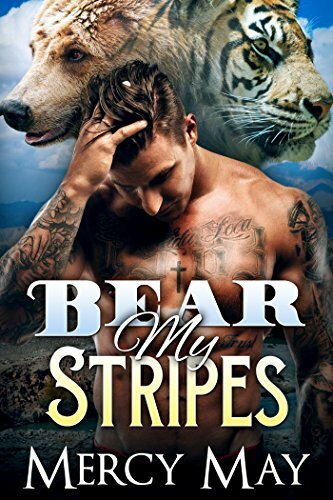 When Cayce feels the urge to run in the Talladega forest, a territory that doesn’t belong to his pack, he does what any nonsuicidal mountain lion would do—he asks permission of the pack’s alpha, Jax. The last thing he expects are sparks to fly… and to leave there pregnant. Shocked, both men decide to try to make things work, eventually moving into together. Jax’s heart is slowly stitched back together as Cayce rediscovers his art. All is good—until the hunters show up. Jax needs to move past his fear of losing his happiness for the second time to save his mate and their unborn baby. Mated by the Mountain Lion is a super sweet MM Mpreg Shifter Romance with an HEA, an adorable baby, and some hot fun. It's been ten years since the Rogue War ended...Join all of our friends in the North for one big three day Winter Solstice celebration. 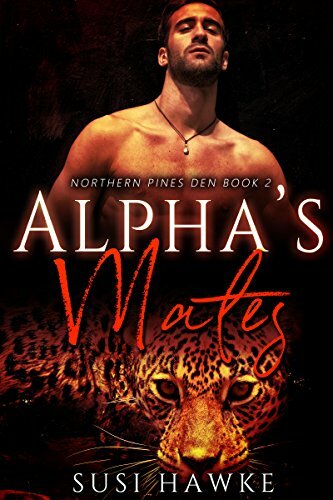 Revisit each and every couple from the Northern Lodge Pack and The Northern Pines Den. Kai and Taylor, each the Al each the Alpha Mate of their respective communities, will join forces to plan the party to end all parties. From yule logs to bonfires, crazy aunties to placid betas, cubs and pups too... all of the shifters you know and love will be there for the holiday! JULIUS is an Alpha respected by his peers. Handsome. Strong. Hard-working. As the first elected mayor of Dirge, he seeks to do his part and put a final end to the city's troubles.TRISTAN is a caring Omega who lives in the slums of Dirge. Kind. Compasums of Dirge. Kind. Compassionate. Loving. He works in a shelter helping Omegas in need and saving them from any potential danger. Trying to figure out how he can serve his city best, Julius meets Tristan to find out what he can do to help. The two of them quickly form a bond over their desire to save the city. At the same time, neither one of them can deny their attraction to the other. The passion between them is undeniable. But just as the two of them become closer, they face new dangers and challenges that threaten the city as well as their new relationship. Will Julius fulfill his destiny as the mayor everybody wants him to be? Will Tristan be able to save all of the dire Omegas in need? Will the steamy passion between them be enough to bring the city the ultimate prosperity everybody has been working for? Or will the desires of others end any hope of them finding love and peace? OMEGA HEART is a STEAMY standalone paranormal shifter romance. It features a strong Alpha and the Omega he loves. There are no cliffhangers and no cheating. Happy ending? Check inside to see! Mature readers only! 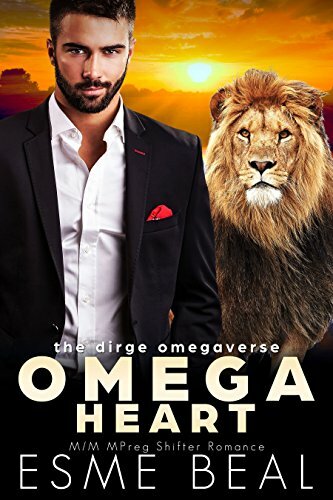 Lion shifter omega Aeson had spent his life trapped in a traditionalist pride where he was treated as property and with no more empathy than one would have for your average chair. After being declared ‘defective’ by his pride, he was abandoned by his father in the human city. Rescued by a human member of the Dry Lake Pack, Aeson must adapt to his dramatically changed life. 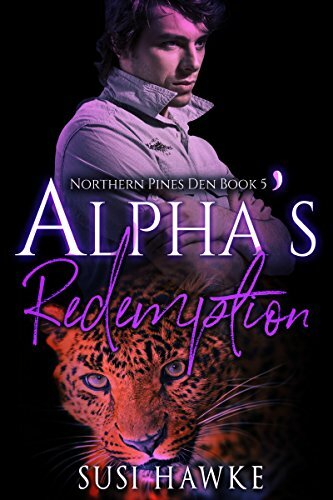 When he discovers that he has been gifted with the ability to heal others, he becomes Alpha Norths best hope for waking Connor from his deep hibernation. Connor spent months trapped in his self-imposed prison within his own mind. Held there by his guilt and remorse for his actions that had injured his best friend Patrick, his mate Carter, and their unborn pup. His jealousy had torn the crew apart and plunged Connor into a hibernation state that no one had been able to draw him from. Can Aeson and his healing ability be enough to pull Connor from the darkness?